Bad news for your husband’s arteries, ladies! The superbly old-school Wall Street steak house on Beaver Street is headed to the beach. Delmonico’s of Southampton opens the doors of its 5,000-square foot surf n’ turf emporium this weekend in the former Savanna’s space. … that when Delmonico’s opened in 1837 it was America’s first high-end restaurant? … that its chefs invented Eggs Benedict? cruise ships the world over? 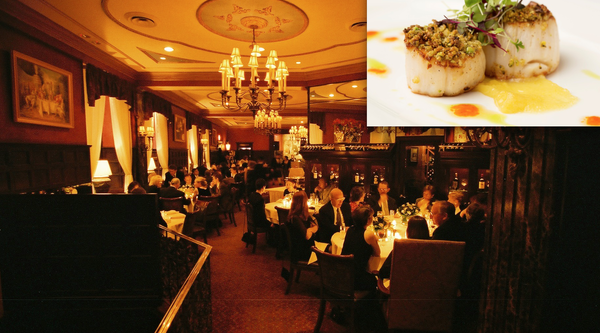 …that when Delmonico’s opened in 1837 it was America’s first high-end restaurant? …that its chefs invented Eggs Benedict? …and Baked Alaska, that fluffy, flame-broiled staple of cruise ships the world over?